Besides a graphical overhaul and extra content, what else can you expect from the upcoming remaster of Grand Theft Auto V on the PlayStation 4, Xbox One and PC? How about a first-person mode while both driving and walking? Los Santos is already one of the most immersive video game worlds ever created, so how would you like to explore it from the perspective of its three main protagonists? On the a FAQ for the game that has now been pulled, Rockstar confirms that the viewpoint will be available. Answer: Grand Theft Auto V will take full advantage of the power of the PlayStation 4, Xbox One and PC with across-the-board graphical and technical improvements to deliver a stunning new level of detail. Increased draw distances, finer texture details, denser traffic, and enhanced resolutions all work together to bring new life to the cities, towns, deserts and oceans of Rockstar North's epic reimagining of Southern California. 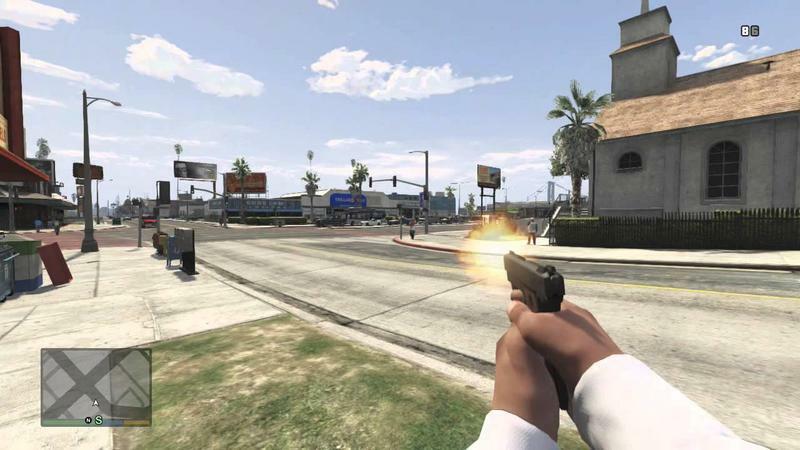 Unofficial first-person mods from the fanbase have proven popular, no doubt leaving Rockstar aware that it was finally time to officially support it. How long until it takes fans to hack the game for Oculus Rift support and starting running and gunning through the street of Los Santos? That's a little too realistic for me.